Welcome aboard your World of Cruising Cruise Planner! How were your holidays this year? If you’re anything like me, you’re probably thinking about next year’s adventures already. And now the days are short and the nights are chilly, what could be nicer than planning a great escape? Here to help you is our bumper annual Cruise Planner for 2017. 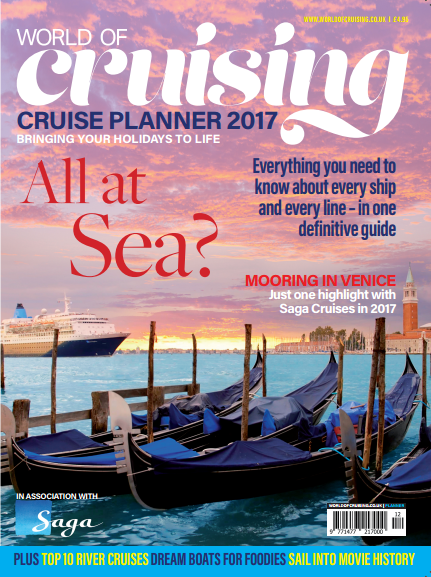 It’s packed with inspiring ideas, from gourmet cruising and famous film locations to stunning new ships and sensational spas. And at the heart of it is our famous Directory, featuring every cruise line and every ship, with facts, figures and thumbnail sketches of what’s on offer. So pull the curtains, snuggle up in a favourite armchair and start making those dreams come true.